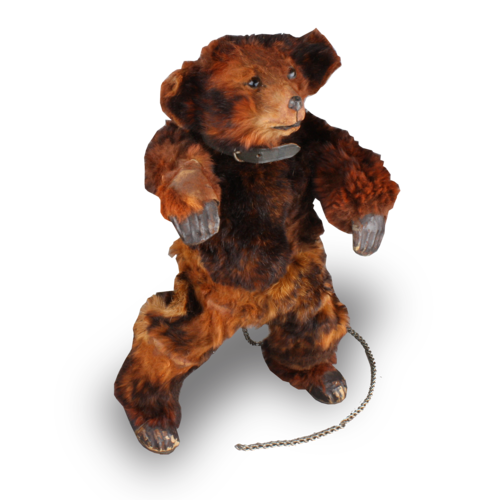 When wound, the bear performs immediately by walking in a side-ways shuffle in the standing position, with one foot pressing forward slightly on each step causing him to take his route in one large circle. 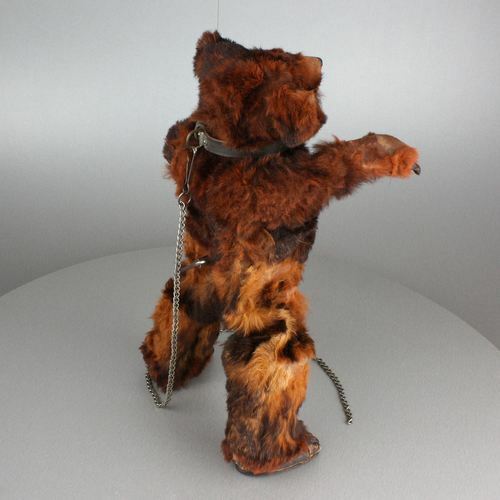 The body of halved papier-mâché, covered in fine mohair fur, he has painted claws and paws to correct proportions. 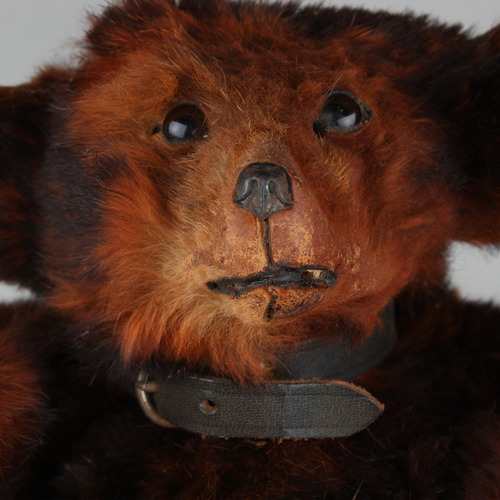 He has glass eyes and a leather collar on which is attached a chain lead for human participation. There is a captive key wind to his back. 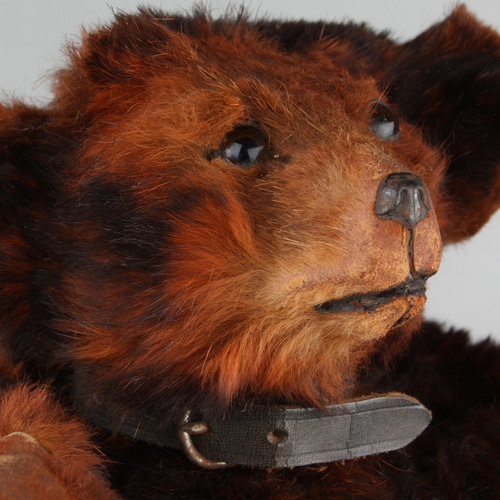 This amusing bear is in superb original untouched condition and is still performing today. To think that bear baiting was common-place in towns and cities such as London, York, Chester and throughout Europe, it is a relief for the animals and as a testament to the strength of moral sense that this sport ended some years ago. 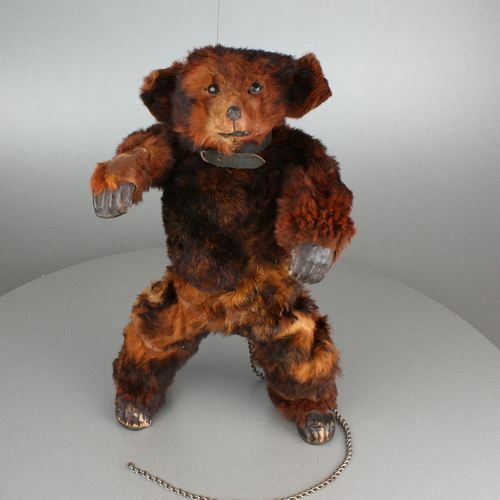 Indeed when this automaton was made bear baiting had been illegal for many years. But this fine specimen really does not mind performing to the crowds, as often as you like, when you like. 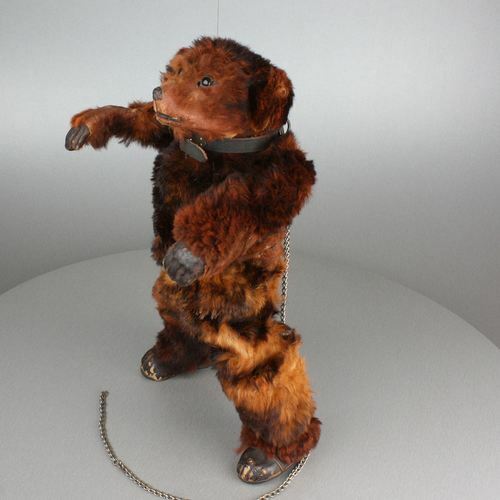 One of the most important examples yet found that has proportions, features and more interestingly - movement - being exactly the same as a real bear, but in perfect miniature.